The Detroit Zoological Society (DZS) named Jeffrey Evans as its new chief financial officer earlier this year. He was previously the CFO of Stout Risius Ross, Inc., an investment banking and management consulting firm located in Southfield. In his new position with DZS, Evans leads the Zoological Society’s information technology division and oversee all account- ing, budgeting, financial reporting and investing functions. ship at a variety of Detroit companies and was CFO for PMA Consultants as well as CFO and vice president for Smith Group Companies. He also served as manager of treasury for Daimler Chrysler Corp. in Auburn Hills, manager and second vice president of Michigan National Bank (now Bank of America) in Farmington Hills and audit supervisor at KPMG Peat Marwick in Detroit. A certified public accountant (CPA), Evans earned a master’s degree in Business Administration from Wayne State University and a bachelor’s degree in accounting from Tuskegee University. Obstetrician and gynecologist Cheryl Gibson Fountain of Grosse Pointe Park has been named president of the Michigan State Medical Society (MSMS). Fountain, a graduate of Wayne State University School of Medicine, will become the med- ical society’s first African-American female president. In her new role, Fountain will ensure that the MSMS continues to pro- vide training, resources and advocacy that will make a difference for physicians across the state and also monitor and propose public policy in Washington, D.C., Lansing, and local communities, always put the care of patients first. She also is associate professor of obstetrics and gynecology at Oakland University William Beaumont School of Medicine and is an attending physician at Beaumont Health, at the Grosse Pointe and Royal Oak hospitals. In addition, Fountain is past president of the Wayne County Medical Society of Southeast Michigan. 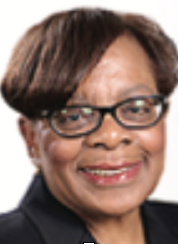 She serves on the Michigan Maternal Mortality Surveillance Committee, the Detroit Regional Infant Mortality Reduction Task Force, and the Blue Cross Blue Shield of Michigan Physician and Professional Provider Contract Advisory Committee. 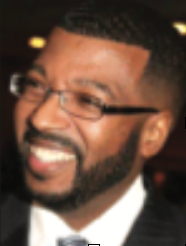 WWJ recently promoted Lloyd Jackson to the position of operation manager for traffic at CBS stations in Detroit, Cleveland and Minneapolis. He is for responsible for providing program direction and operational oversight of all three stations. This is in addition to maintaining the format of the stations and ensuring quality controls are consistent with program plans and goals. Prior to this position, Jackson was director of communications and community outreach for Wayne County Executive Warren Evans and the Department of Health Veterans and Community Wellness (HVCW). He handled all media relations and acted as spokesman for the Wayne County Medical Examiner’s Office. 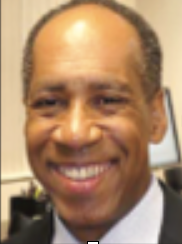 Jackson is a 30-year veteran of radio and spent 22 years at Detroit’s News/Talk WJR 760 AM where he covered city politics and hosted several talk shows including “Ask the Mayor.” He is the recipient of numerous broad- cast awards from The Michigan Association of Broadcasters, The Associated Press and The Society of Professional Journalists.